Come on down (or I guess up) to Vertical World with Jconnect! 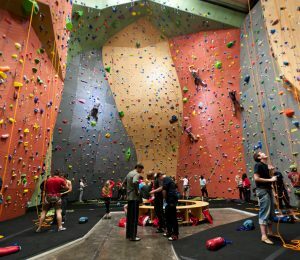 This outing will include unlimited access to the bouldering area, all necessary climbing equipment, 2 or more belayers to assist with the use of our roped climbing walls, and use of the party room for the full 2 hour timeframe. Tickets are $10 and there are a limited amount of spots so please RSVP below, thanks!